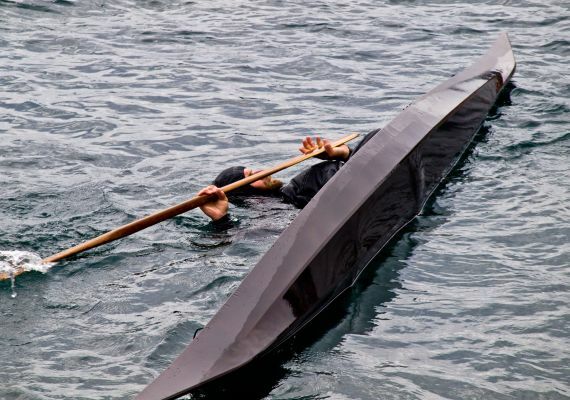 Join renowned traditional Greenland paddling technique instructor James Manke for daily skills sessions and excursions to inform and enhance your skinny stick abilities. 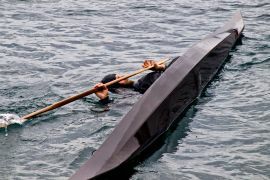 James Manke from All Things Qajaq, and West Coast Expeditions combine expertise to offer this one-of-a-kind week of training in traditional Greenland-style paddling while exploring incredible west coast waters! This unusual offering is open to beginner, novice, intermediate, or advanced paddlers. Spring Island was the perfect venue for a Greenland workshop. 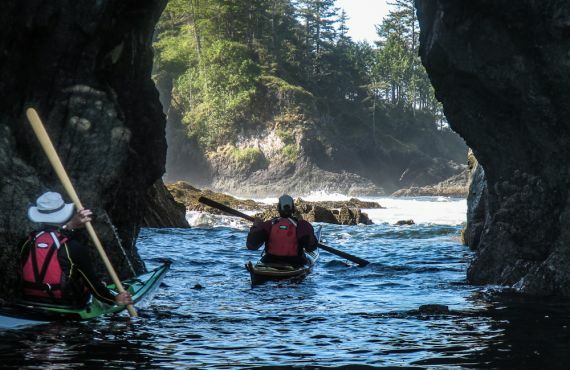 What better place for skill development than at our West Coast Expeditions kayaking base camp on Spring Island in the Mission Group on the wild northwest coast of Vancouver Island?! 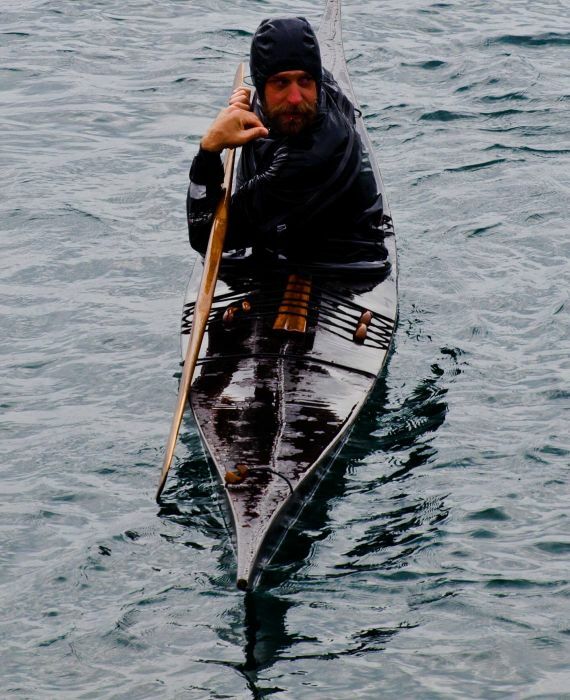 Join expert Greenland paddling instructor, James Manke, who is All Things Qajaq! James is based out of Victoria, British Columbia, and he is both passionate and talented in sharing the tradition of Greenland kayaking. James has a unique teaching style that draws you in and allows you to explore the possibilities of his teachings. This is foundational for modern day paddlers. He is a perennial favourite coach at events like the Pacific Paddling Symposium and elsewhere throughout North America...and the world. James has been to Greenland to compete - and medal - in the 2014 Greenland National Kayaking Championships, hosted by Qaannat Kattuffiat. While learning to kayak, James also skinny-stick paddled the Grand Canyon as part of a self-supported descent with 3 other sea kayakers! He has a few stories to share around the campfire. Participants will revel in daily paddling and instructional sessions: James provides personalised skills sessions and practical touring that will inform and enhance your skinny stick abilities. And our West Coast Expeditions staff will share their intimate knowledge of the local marine environment while facilitating guided outings specific to sea conditions and learning objectives! In addition to all the unique paddling choices, myriad other opportunities await you in this glorious part of the world: morning stretching in a grassy meadow, day hikes on spectacular coastlines and in majestic forests, evening talks around the campfire, delicious and wholesome meals, hot showers, and rejuvenating nights sleeping in waterfront canvas tents with comfortable beds. The inclusions and itinerary are similar to our regularly scheduled "5-Day Sea Otter Kayak Tour" from our base camp, with adjustments to the daily rhythm for specific skills clinics before, during, or after outings. Convenient two-way van transportation from the Comox Valley (Courtenay or Comox) or Campbell River is included in this offering. Suitable kayaks are provided. Alternately, intermediate and advanced paddlers may prefer to bring their own kayak for familiarity. A wonderful time in a stunning location! Immersion protection is required for optimal learning and safety during this specialized workshop (drysuit recommended, or at least a wetsuit; including neoprene hoodie/cap).